This is my first attempt at Paverpol Fabric Sculpting. I took the class at Creative Fire Studio in Edmonton, Alberta on August 12, 2017. This is my newest creation. I will be doing a course for this beginner garden statue. All the information is contained on the sidebar. Looking forward to meeting some new people who will love this art as much as I do. This piece was gifted to a special young woman in our life. She was my muse and inspiration. Nativity “The Couple, Babe and the Kings”. I just finished highlighting my first Nativity set in Paverpol. Author Oonagh Mara OriginalsPosted on November 16, 2017 Leave a comment on Nativity “The Couple, Babe and the Kings”. Here is Jaunty Joan. I gave her as a Birthday gift to a special lady. 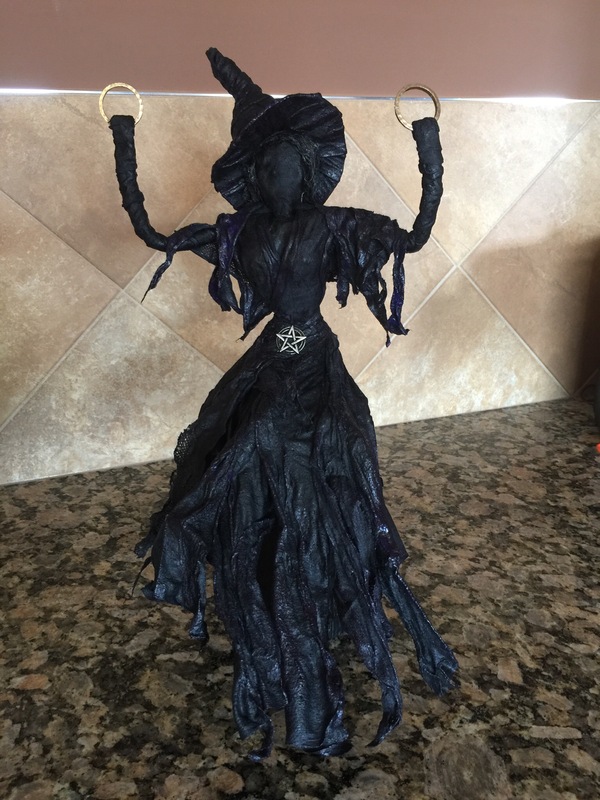 I finished my sweet little witch on October 11, 2017. I need to improve some of my skill set so I plan on making a few more pieces. The two gold circles are intended to be full moons. She was created with wrappers and t-shirts and of course paverpol. She was than highlighted with varnish and purple coloring added. I took my Instrutor course in Athabasca, Alberta at NTW Studio on September 30 and October 1, 2017 I had the honor of being the only person in my class, so I had Nancy all to myself. She is a gifted artist and inspiring teacher. The workshop is very intense but thouroughly presented. During the course I learned everything there is to know about Paverpol. I worked with all of the Paverpol products and I am looking forward to sharing the unlimited potential with all of my students. Below is my creations and my certificate. The creations are yet to be named. I was excited to do my first fairy as anyone who knows me, knows how intrigued I am with Fairyland. 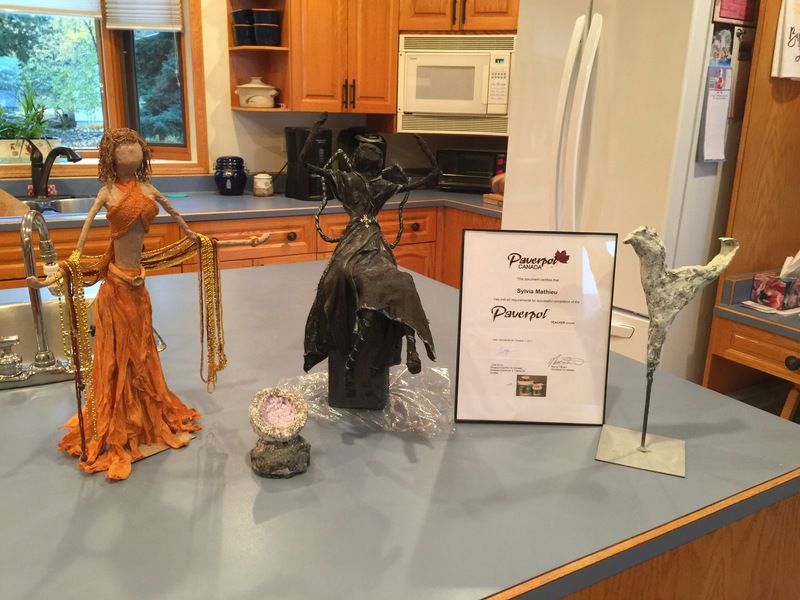 I will be hosting multiple courses at Ferns Mercantile and Green House in Peace River relating to Garden Sculptures. When the dates have been determined, I will post on this site as well as Ferns Mercantile and Greenhouse. Class supply lists will be supplied upon confirmation of attendance of class. WHEN: May 25 from 6 pm-9pm. May 26 from 10am-2pm. Oonagh Mara Originals Blog at WordPress.com.